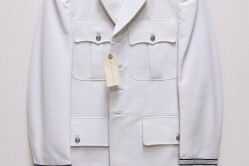 Her polyester, blazer-style service coat has three buttons and two open pockets. 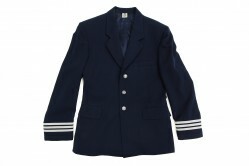 It replaced the previous semi-box style that was shorter and had two rows of buttons. 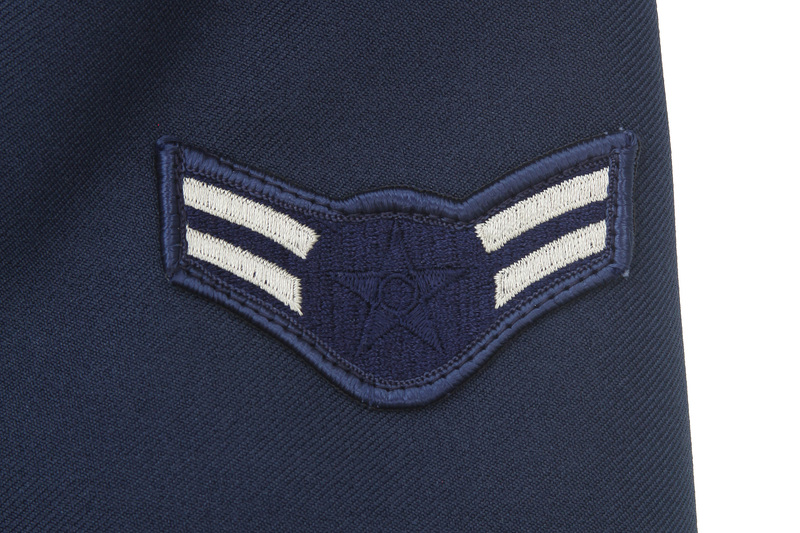 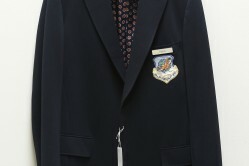 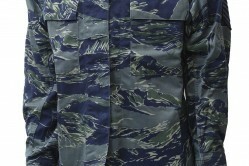 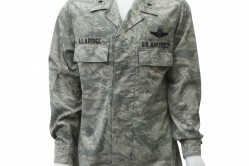 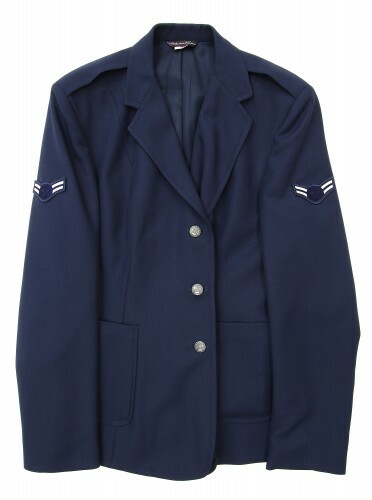 the Airman First Class chevrons on the coat have a blue star instead of silver and were the style used between 1975 and 1991.